Pray, a photo by ericwagner on Flickr. 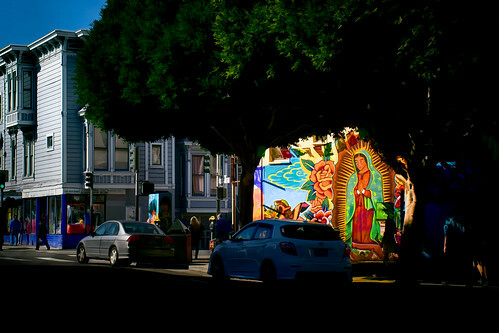 Mural at 24th and Capp street as seen from the south side of 24th Street, San Francisco, CA. This photo is an experiment exploring the line between photography and painting. I left the painted mural as the most “photographic” element while subtly reducing the complexity of the rest of the photo. This entry was posted in Uncategorized on February 20, 2014 by eric.